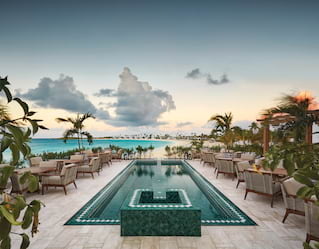 Some of the finest restaurants in Anguilla can be found at Belmond Cap Juluca. Take a seat beside a brilliant stretch of dazzling white sand. Then slowly sink into a menu filled with vibrant island flavors, often brought to life with herbs and spices from our own bountiful garden. 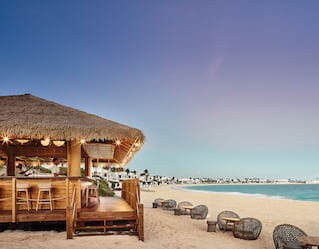 Pimms is a Belmond Cap Juluca institution and the best place on the island for refined Anguillan cuisine. A menu of elevated Caribbean classics and international specialities uses the very best local ingredients and freshest catch. The cool, stylish interiors set the perfect stage. Enjoy a little slice of Venetian glamour surrounded by the endless blue of the Caribbean Sea. Named after the iconic restaurant at our sister hotel Belmond Hotel Cipriani, Cip’s offers a casual Italian menu rich with comfort food. Delicious fresh produce is worked into tempting risottos, salads, pastas and carpaccio dishes. Come evening, live music sets the perfect soundtrack. A taste sensation awaits on the platinum sands of Maundays Bay. Relax and unwind with creatively mixed rum punches, serenaded by the lap of the ocean. Come evening, the sound of live calypso and reggae fills the night sky. Freshly squeezed fruit juices, smoothies and light bites are on offer at the fashionable Maundays Club. The connecting pool terrace is the perfect place to unwind and soak up the Caribbean atmosphere. As the stars come out, the menu turns to sophisticated ceviche and tapas as the rum cocktails flow.